Since you can modify your weapons in Fallout 4 I modified my AER-9 Laser Rifle with a “Heavy Barrel”. Ingame when you apply this modification it increases the damage of the shots BUT it also looks Awesome and Chunky! 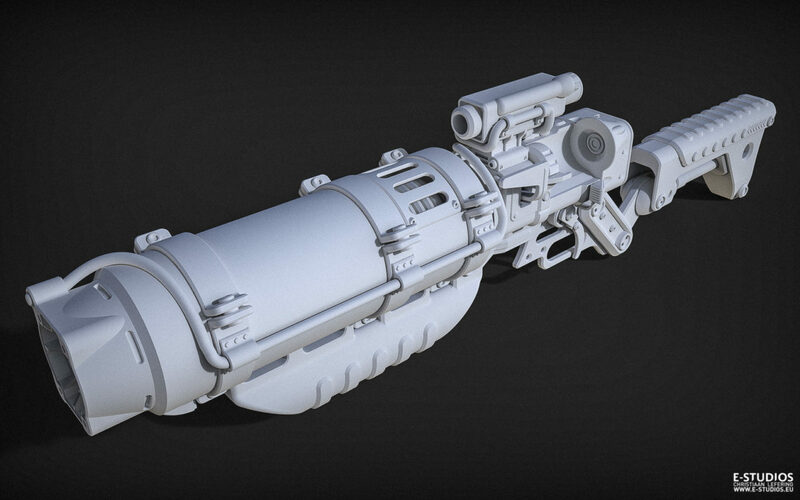 This one will include sounds, lights and maybe a smoke generator behind the “Heat-sink” of the Laser Barrel.